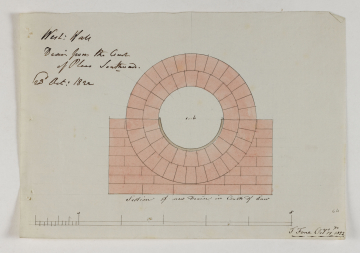 The drawing is inscribed in Soane's hand, and dated 23 October 1822. The draughtsman, John Fone, served as an additional Labourer in Trust appointed to oversee this project by the Office of Works. He is also represented in drawing SM 53/1/3.